VW antenna mast. Do you like to drive your VW through automated car washes, but one finally snapped your antenna? Replace the mast with this direct fit replacement and get your radio reception back. 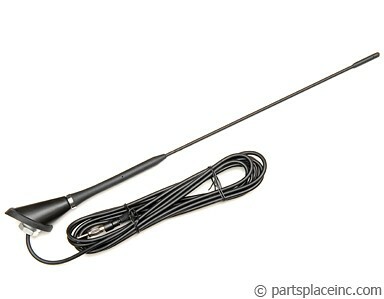 The VW antenna mast is only the external whip on the top of your car. If you need a complete solution for fixing any reception issues with your antenna we also carry the complete antenna and base.